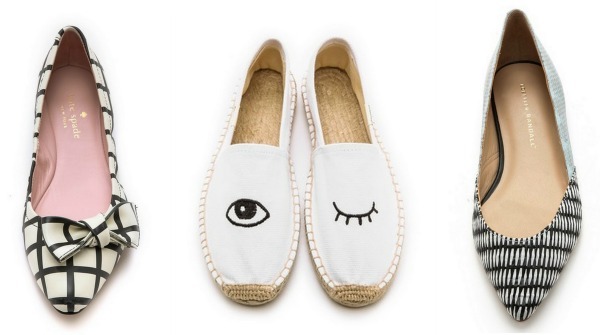 Below are 12 head turning designer flats that are currently topping my wish list. Looking beautiful and elegant in this outfit! I like your pants and shoes very much! Love the color combination you used here. Those flats are amazing! Ok, I think I need all of these! Great selection. What a chic look. You're almost giving us a refresher in color-blocking. You look fantastic. Great color scheme and I adore those shoes! 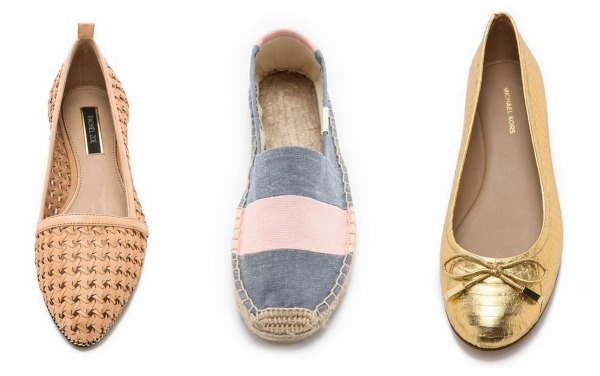 Those wink flats are so cute. I've never seen cuter flats. Love love love those flats! I have a pair of grey heels from the LC Lauren Conrad line in the same style with the bows on the toes. I love the unique look! Great round up! I think I need one of each please! Your leather skirt is really nice. I just looked it up and it's on sale, might have to get it. I absolutely adore this outfit! You look stunning! Obsessed with loafers. I just got 2 pairs for Christmas. Thanks for sharing these picks, they are adorable! Beautiful selection. Love the Tory Burch flats. I love your selection of flats! Especially the pointy ones! Ooh la lee lou! Nice variety of shoes. I love flats, especially in the springtime! Today's Post:Nate Berkus Desk Collection. Love your animal print shoes!!! 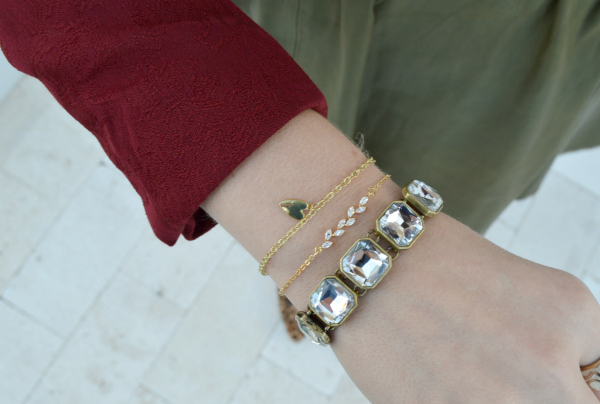 Your blog is so inspirational for style! I'm especially loving that H&M shirt with those LC flats. Their detailing is adorable! The flats you're wearing are SO CUTE! I love the print, and the little bow. Great bracelets too. I have just been loving your blog posts lately! I gather so much style inspiration from you because you are so classy and ladylike! 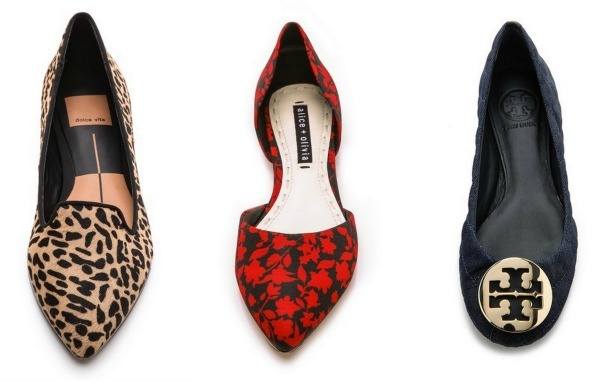 Love all the flats you linked up, especially the leopard ones! I'd love if you checked out my blog sometime! I can't decide what my favorite part of this outfit is! 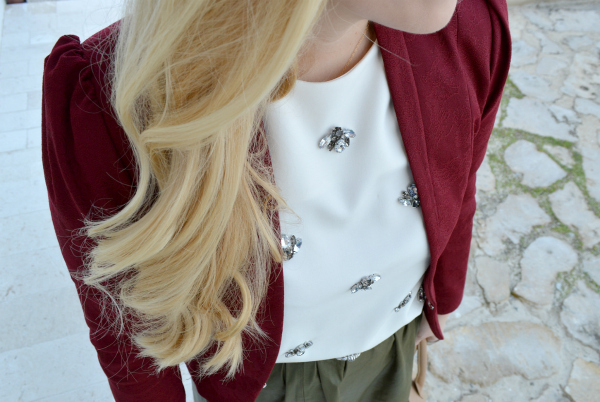 Adore this outfit. The detail on the top is daring. Gotta love a leopard pair of flats. They are a must-have year round! Gorgeous outfit!! One of my favorites so far and I love the colors! I also love all of your picks for flats. I work at Teen Vogue and spend most of my days running all around so a pair of good flats are a must. I especially love the Soludos! I adore flats and that pointed toe slingback flats is just beauuutiful! I'm loving the leopard and you look so pretty! These flats are really stunning, Anna! Can't pick one. They're all pretty. Wanna have them for real! All of these heels are looking attractive . Like these all .